An Arizona native, Lauren has been a nurse in the valley for 7 years. 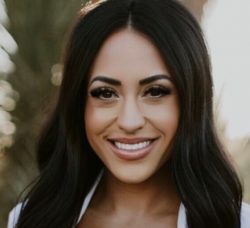 She has worked in a wide variety of nursing settings, and currently is fulfilling her passion by serving both in emergency medicine and the aesthetics industry. Lauren is also pursuing her advanced nursing degree and is looking forward to graduating as a nurse practitioner in the upcoming years. As a cosmetic injector, it is important to her to collaborate closely with her clients to develop a treatment plan that includes their visions as well as her artistic abilities. Lauren is also passionate about being current on her training and practices, and strives to stay up to date on contemporary trends in the industry. Lauren is a certified provider of Hydrafacial. Due to her busy schedule, Lauren has limited hours available at Cielo, so book early! The first 20 clients to book will receive a 10% discount on any treatment...offer limited to clients new to Cielo only.